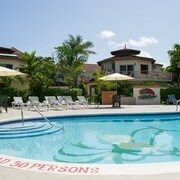 Good location, close to amenities (stores, mall, Negril). 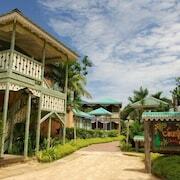 Quiet area but within a close distance to the town of Negril and seven mile beach. 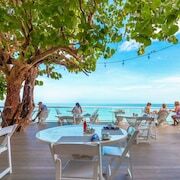 The staff was friendly and responsive to my request for an early check-in, the beach was awesome, and the breakfast is the best in Negril. Bed very comfortable ESP compared to others in negril. 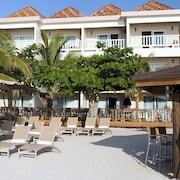 It was our first time in the West End of Negril and we were very pleased with our stay at Xtabi. Ocean side on the best beach Negril! was great had a great time. a dream com true. will be back. I loved everything about it...the island feel and vicinity to great eatery spots. Where to find Negril hotels near an airport? 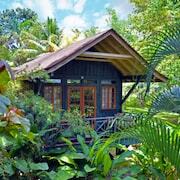 How can I find hotels in different Negril neighborhoods? 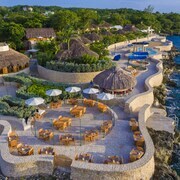 Where can I find hotels in Negril that are near tourist attractions? From the affordable to the more upmarket, Negril features an amazing range of comfortable short- and long-stay accommodation choices. For those wanting to stay within a 0.1-kilometre (0.1-mile) distance of downtown Negril, Expedia's up-to-date database features at least 89 places to stay that meet that criteria. Some hotels that are near the center of Negril are the Beaches Negril Resort & Spa - All Inclusive and Couples Swept Away All Inclusive. 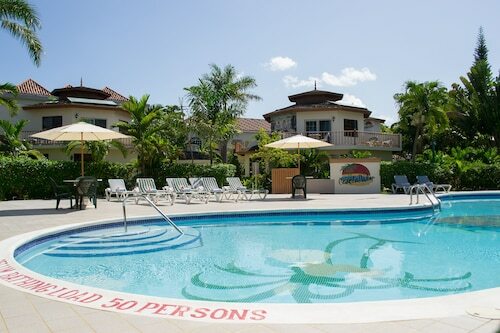 The Beach House Villas and Sandy Haven Resort are near the Negril Hills Golf Club. 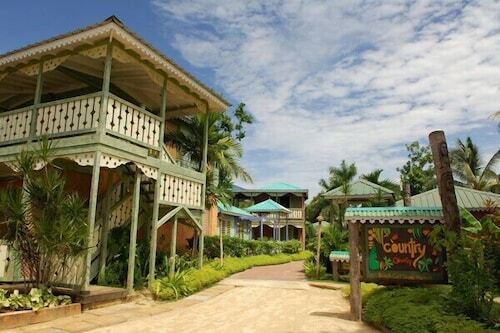 The Caves Hotel is positioned 7 kilometres (4 miles) from the middle of Negril. 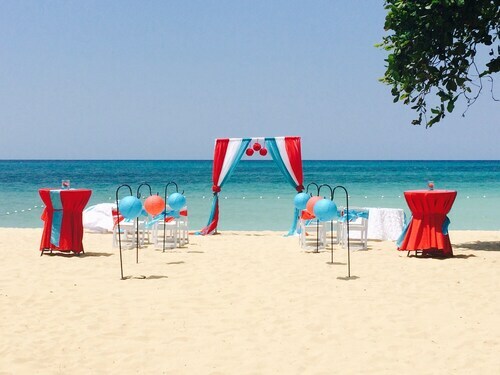 Alternatively, the Sandals Negril Beach Resort & Spa Luxury Inclusive is located 9 kilometres (6 miles) away. Two other Expedia-listed options in this area are the Couples Negril All Inclusive and the Hedonism II All Inclusive Resort. After you have got to know Negril, schedule in a little time to discover the other natural and cultural attractions of the Jamaica area. Visit Jamaica's ruins, old towns and fortresses. You could also make the time to enjoy its beaches and coastal plains. Popular things to do in this part of Jamaica include mountain biking. West End is 6 kilometres (4 miles) to the southwest of Negril, and is home to the Negril Cliffs and Negril Watershed Environmental Protection Area. Expedia-listed West End hotel options include The SPA Retreat Boutique Hotel and Tensing Pen Hotel. Or, you could stay in Lucea, 20 kilometres (12 miles) to the northeast of Negril, where you'll find the Grand Palladium Lady Hamilton Resort & Spa All Inclusive and Grand Palladium Jamaica Resort & Spa All Inclusive. Dolphin Cove Negril and Hanover Museum are a couple of the more popular points of interest to experience for those visiting Lucea. 45 kilometres (28 miles) to the northeast of Negril is Montego Bay, a regional center with a population of 83,000, where you will find attractions like the Doctor's Cave Beach, AquaSol Theme Park and Westgate Shopping Centre. The Walter Fletcher Beach and Sam Sharpe Square are also worth checking out. Should you wish to stay in Montego Bay, check out the rates and amenities at the Villas at Half Moon and GoldenEye. Sir Donald Sangster International Airport is a convenient airport for flying into and leaving Negril. It is 45 kilometres (28 miles) away. If you would like to stay nearby, try the Sandals Montego Bay - All Inclusive or Riu Palace Jamaica All Inclusive - Adults Only. 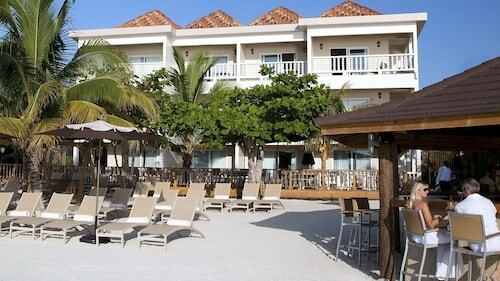 What are the most popular Negril hotels? Are there hotels in other cities near Negril? 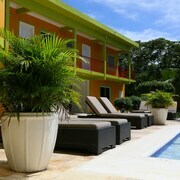 What other types of accommodations are available in Negril? Explore Negril with Expedia.ca’s Travel Guides to find the best flights, cars, holiday packages and more!